The new Xbox Experience – the revamped Xbox Live UI – is scheduled to launch tomorrow. How much you want to bet that they have server issues and download queues a hundred miles long tomorrow? Not sure when companies will grasp the need to improve launch day experiences. I read that the queues to access the new World of Warcraft expansion – Wrath of the Lich-King – was several hours long the day that it launched. Regardless of tomorrow’s performance, it should be up and running fine within a few days or weeks. 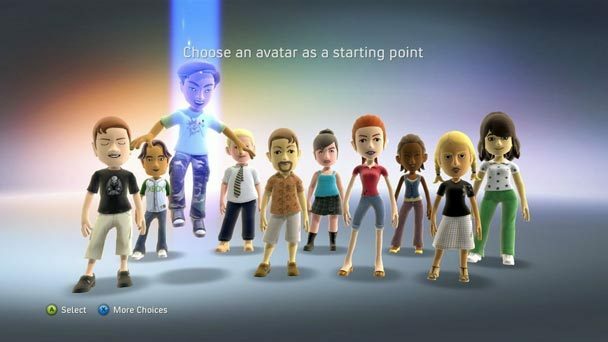 I am excited to see the Netflix streaming functionality featured in the new Xbox Experience, but what’s with the funky avatars? Why rip off Nintendo’s Wii when there’s so much cool technology out there for modeling faces and bodies?